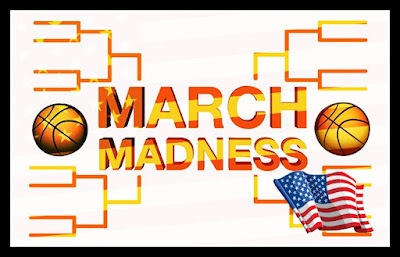 Is March Madness good for America? When the sixty-four NCAA men college basketball teams enter the annual March Madness fray a betting frenzy sweeps the nation. Over forty million people fill out brackets hoping to cash in. The odds are 9.2 quintillion to one that you can pick the winner of every game. Tough odds. So if we don’t win, who does? Beer companies. Beer consumption increases almost 30% in March, followed by pizza at 19%. We may lose money, but we won’t lose any weight. Besides the bracket busting losers, who else loses? Employers who cover lost wages due to distraction and lost productivity—estimated at about $1.9 billion. So, March Madness comes with a cost. But what about the benefits? Move over Baby Boomers, the 83 million-strong Millennials are the largest demographic in our nation. They represent a huge voting block too. Last election this group strongly supported President Obama, but with hefty payroll taxes taking a chunk of their earnings, could they becoming wary of high-cost government policies? Even though they carry the financial burden of aging Boomers, they are also experiencing the highest rates of unemployment and underemployment. Millennials will be greatly impacted by this election. 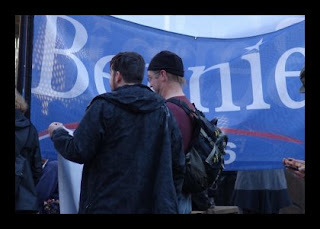 Political geeks theorize that if Millennials vote for a Democrat twice, they are likely to remain Democrat for life. Thus, Republicans are desperately wooing Millennial voters. Five generations will be voting for president. There are still some voters in the Greatest Generation (1900-1924). The Silent Generation (1925-1945) and Baby Boomers (1946-1964) are the voters depending on medicare and social security benefits. Some say it’s the coolest place you should never go. 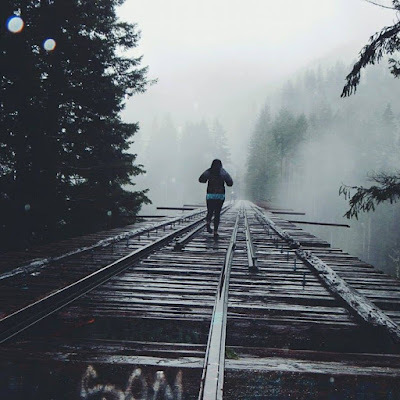 My former high school classmates know it well—the Vance Creek Bridge. Back in our day it was still relatively safe—if by safe you mean a railroad bridge without any railings, perched nearly 350’ above jagged rocks. Shortly after we graduated, logging companies stopped using the bridge, but not the local teens. It’s the second highest railway bridge in the United States. Built in 1929, Vance Creek is listed on the National Historic Register, but it hasn’t been truly maintained in decades. Thrill-seekers walking across the 600’ span must wonder if their weight will crumble the rotting beams beneath their feet. It’s so high that the wind can block the sound of the water far below. It’s the place of double-dog dares, but no place to go if you’ve had one too many beers. Thanks to social media and scary cell phone pictures, the Vance Creek Bridge is no longer a local hangout. Angry Americans are apparently fueling this crazy presidential election. 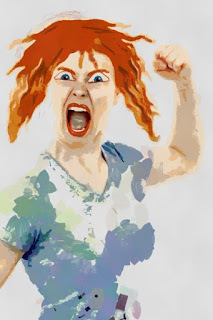 Why the anger? It’s something we all work for: Money. For fifty years, from 1950-2000, our economy grew at an average annual rate of 3.5%. This means we got wealthier—from $16,000 to over $50,000 over person. So what has happened since 2000? We’ve had 2% growth. This means we haven’t had a pay raise in 15 years. Democrats declare that it’s Wall Street’s fault, crony capitalists’ fault, the uber-rich one percent’s fault, and the fault of corporations who take all the tax breaks they can get. Their strategy involves imposing hefty taxes on them. But the rich take their money and run while corporations pass extra costs on to us. Bernie Sanders is dividing Democrat loyalty, but it’s the Republicans truly feeling the burn. The GOP “Establishment” hopes to knock down the invincible Donald Trump. He claims he’ll make America great without giving much detail.